Accident Attorneys, White Plains, NY - Lawyer Consultation Tips. The White Plains personal injury and accident attorneys at Worby Vecchio Edelman are devoted to representing victims of accidents, and medical malpractice. We go above and beyond to maximize recoveries for our clients. However, our best outcomes occur not only as a result of our preparation, but just as important, our clients’ preparation. For example, if you are unfortunate enough to have been injured in a falldown accident, our advice is to do everything you can to determine the cause of your fall. The fact that you fell on someone else’s property does not mean that the property owner is automatically responsible for your injuries. Why did you fall? What caused you to slip, or to trip? What caused you to be walking in a normal manner and then wind up on the ground or the floor a second later? Look to see if there is water or other liquid, or some type of debris on the floor, and if so, try and determine the condition of that defect. Is the debris in a condition that suggests it had been on the floor for an extended period of time? That conclusion can be inferred if there is debris in the liquid, or perhaps footprints. How large was the defect on the sidewalk, or in the building where you fell? The standard of negligence in a falldown case is an owner’s failure to maintain the premises in a reasonably safe manner. However, since New York recognizes the doctrine of comparative negligence, an accident victim has a similar obligation to act in a reasonably safe manner. Therefore, a failure to see what there is to be seen will serve to reduce a potential recovery. One great way to avoid a finding that your own negligence was a substantial factor in causing you to fall is to avoid using a phone while walking. Texting while walking can reduce your recovery if a jury finds that your phone usage was a significant factor in the occurrence. Texting while driving is illegal, as is any other use of a hand held electronic device, and can result in a moving violation with significant points against your license. In a personal injury setting, texting while driving raises a red flag to an insurance carrier and ultimately to a jury. 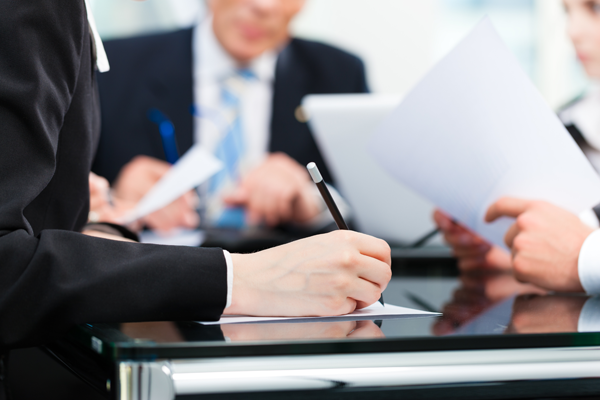 We handle and prepare our cases in a meticulous manner, and we set the tone at our very first meeting. We’re obviously interested to know about your injury and the resulting treatment, but we also focus on the details of the accident itself. The issue of liability – who was responsible for the accident – is a critical part of the analysis. So – our best outcomes occur when our clients help us help them. Be aware of what caused you to fall. It’s simply not enough to state that you fell and were injured on someone else’s property. Act in a safe and responsible manner. Look where you’re walking, or where you’re driving. Pay attention to your surroundings. We won’t be able to help you if you don’t know what caused you to fall. Remember – we weren’t there, you were. We take pride in our work, and the manner in which we represent our clients. No two cases are the same, and that’s why we spend the amount of time we do on each case, going over every detail in order to maximize a recovery. Our efforts are guided by the facts of each case. The White Plains accident and personal injury attorneys at Worby Vecchio Edelman have been recognized by Super Lawyers, by U.S. News and World Report, and other rating agencies for their excellence in representing accident victims. Call us if you or someone you know has been involved in any type of accident. We’ll make sure that your questions are answered, and that you understand the scope of our representation. There’s never an obligation, and since we work on contingency we don’t charge a fee unless we recover money on your case.